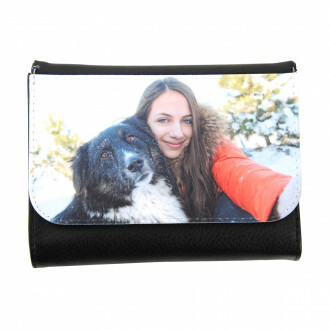 "Personalise your own black leatherette wallet with your favourite image. Make sure your money is being kept safe in a fashionable way with our personalised black leatherette wallet. Our Walletsv are made out of Faux Leather and Polyester.